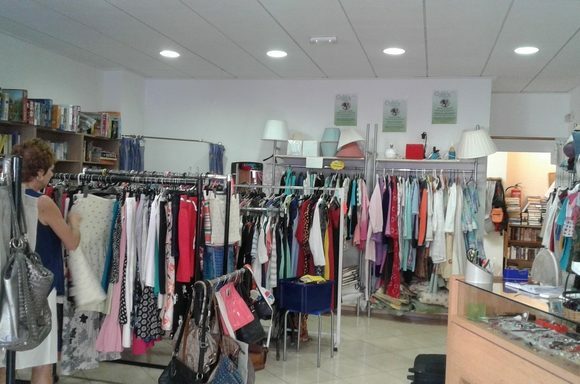 All our charity sale venues offer excellent value for money with clothes, shoes, bedding, books, electrical items, furniture (at Salon Grande), plus lots more bargains at rock bottom prices. All proceeds go to the running of the kennels and our current guests. 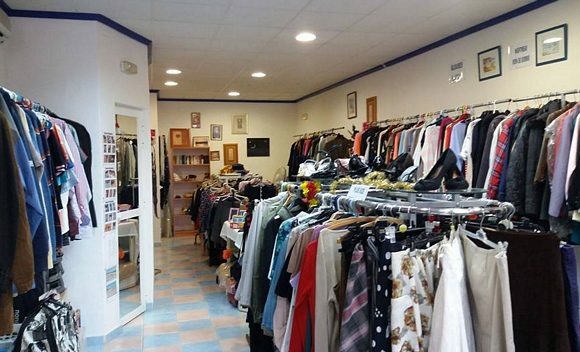 Donations of Goods gratefully received during the hours that each shop is open. Volunteers are always needed to help at the kennels, fundraising events and at charity sales. 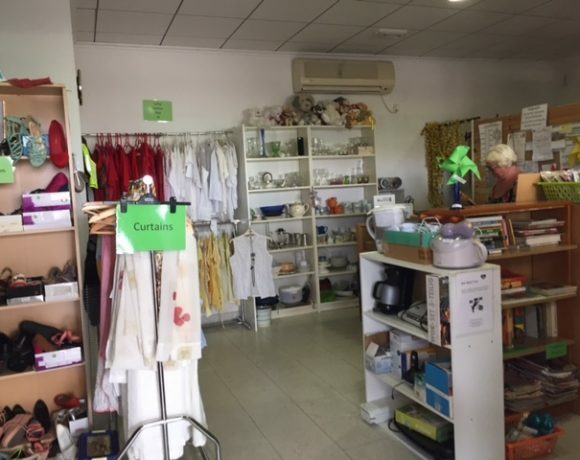 Situated between Los Balcones and San Miguel (opposite Florantiles Caravan site) Follow CV95 from Torrevieja towards San Miguel, the road passes through Los Balcones and Lago Jardin, and when you have passed under the motorway (AP7) the entrance is on the left after 200 metres. 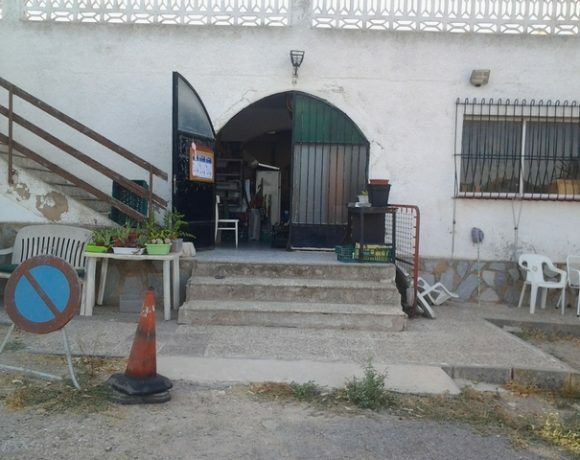 There are large green gates at the entrance and parking near the finca. 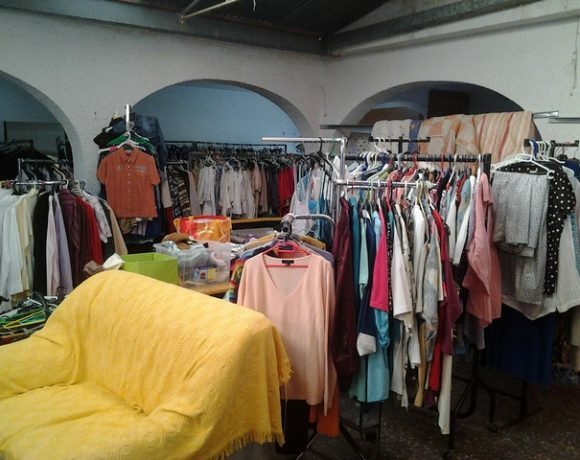 Salon Grande has been open as a Boot Sale for many years. 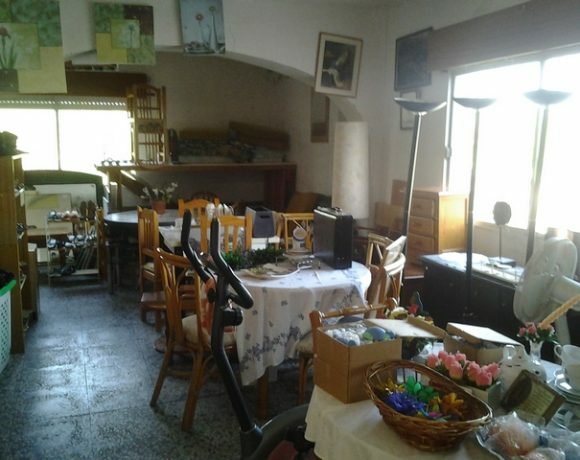 The finca is large enough to accommodate most items of furniture, bathroom and kitchen fittings (including white goods) together with the normal items you would expect for sale. 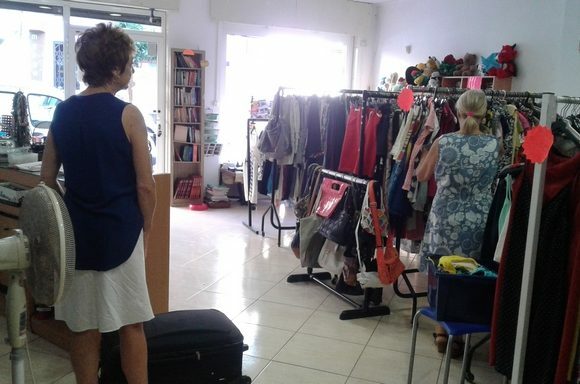 Anyone who has items to donate can do so during their opening times. The small number of volunteers here would welcome anyone who can offer a couple of hours of their time in support of this charity. At the church in the main street take the road going down to the sea by the town hall. 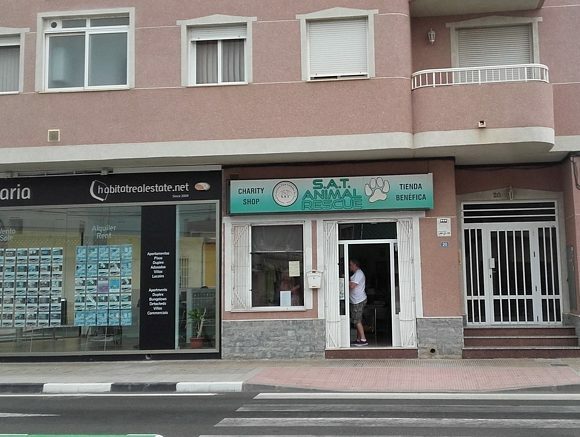 Take the 2nd right and the shop is then on the left, nearly opposite the SUMA office. 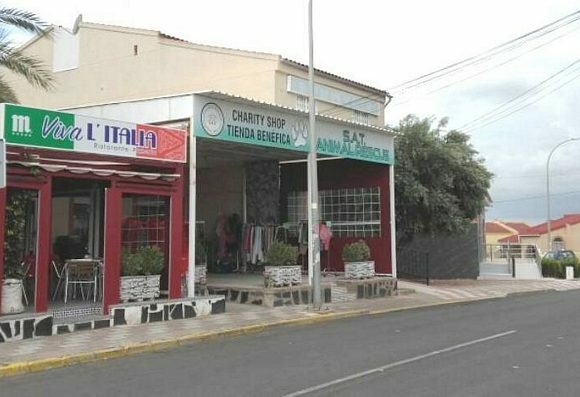 This is the first shop that we opened back in 2005 and the volunteers are a friendly crowd always looking to add new friends to the team. 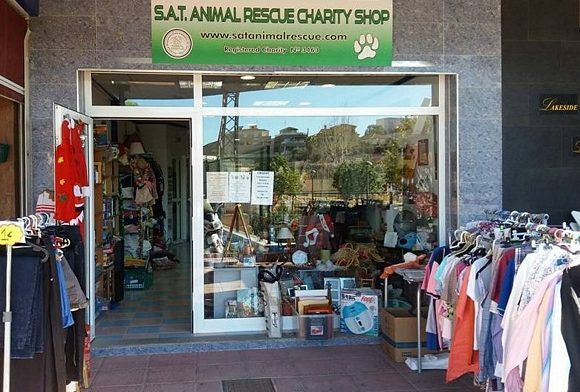 Donations of your unwanted items can be made during these opening hours and the shop can accommodate small items of furniture also. 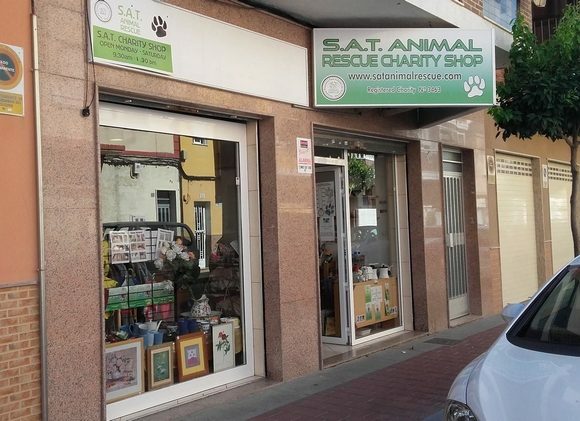 The shop has been open since 2014, there are around 25 friendly volunteers but new helpers are always welcome. There is a wide range of products for sale e.g. 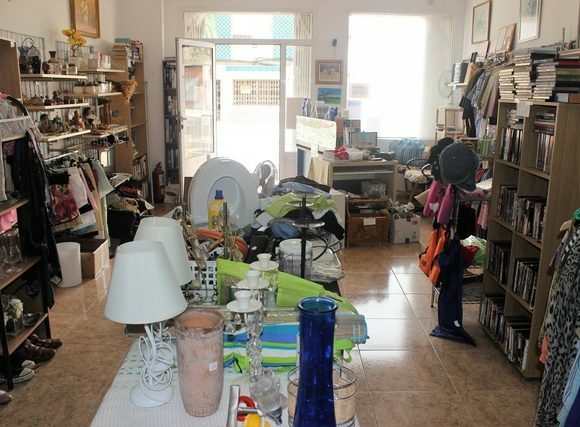 clothing, toys, bric a brac, gardening equipment, small items of furniture etc. We can arrange local pick in La Marina area.